You are here: Home / News / Archive / Megatrends, far-reaching, but also out of reach? Megatrends, far-reaching, but also out of reach? 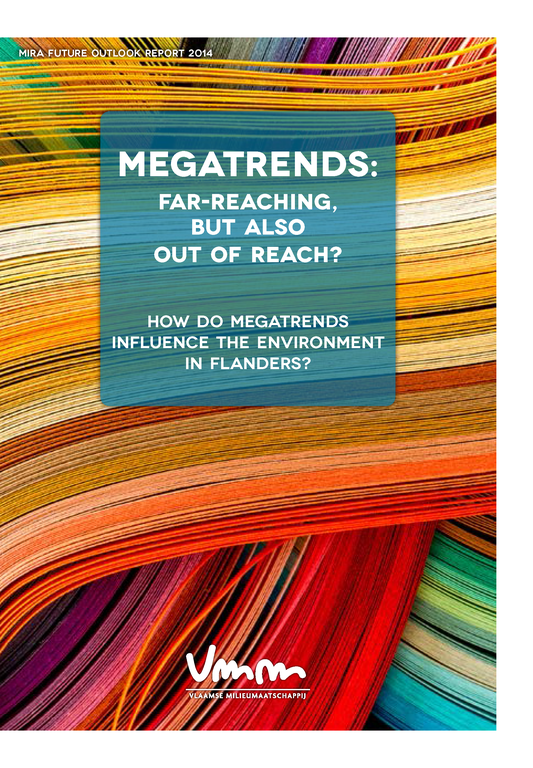 How do megatrends influence the environment in Flanders?In the report 'Megatrends, far-reaching, but also out of reach? How do megatrends influence the environment in Flanders?' the Flanders Environment Report (MIRA) identifies six global megatrends, assuming that we cannot understand societal developments and their impact on the environment in Flanders without looking at such autonomous developments at the global level.